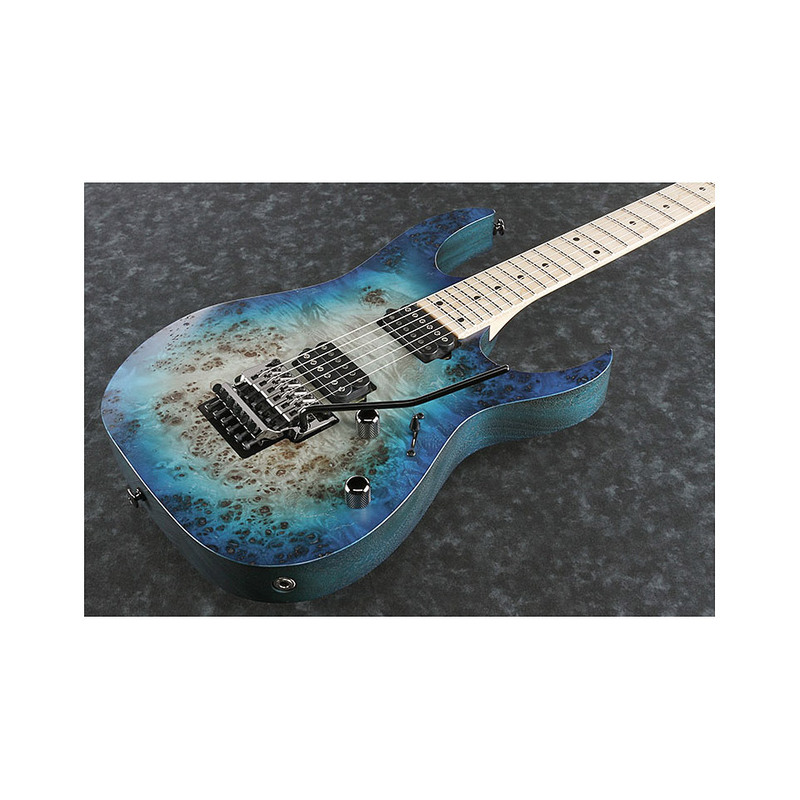 The Ibanez RG652MPB-GFB can be convincing both visually and acoustically. 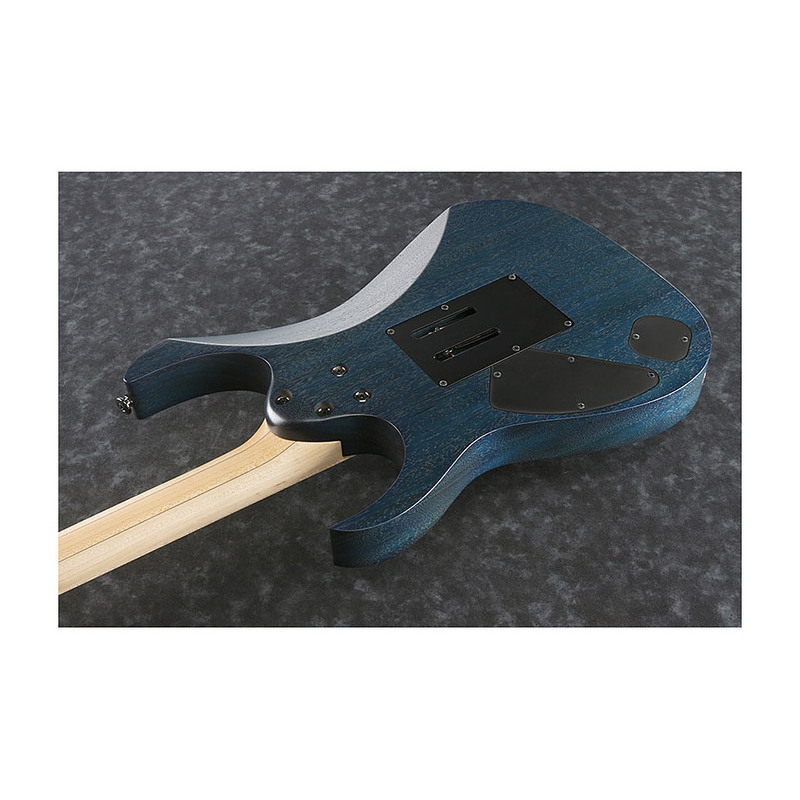 The Mahagonibody is provided with an intensively grained poplar root wood top and forms a nice contrast with the blue burst paint. The neck is also a real eye-catcher thanks to its birds eye maple fretboard. With the hardware, Ibanez has chosen the proven Edge Tremolo, and a pair of DiMarzio pickups for the sound. 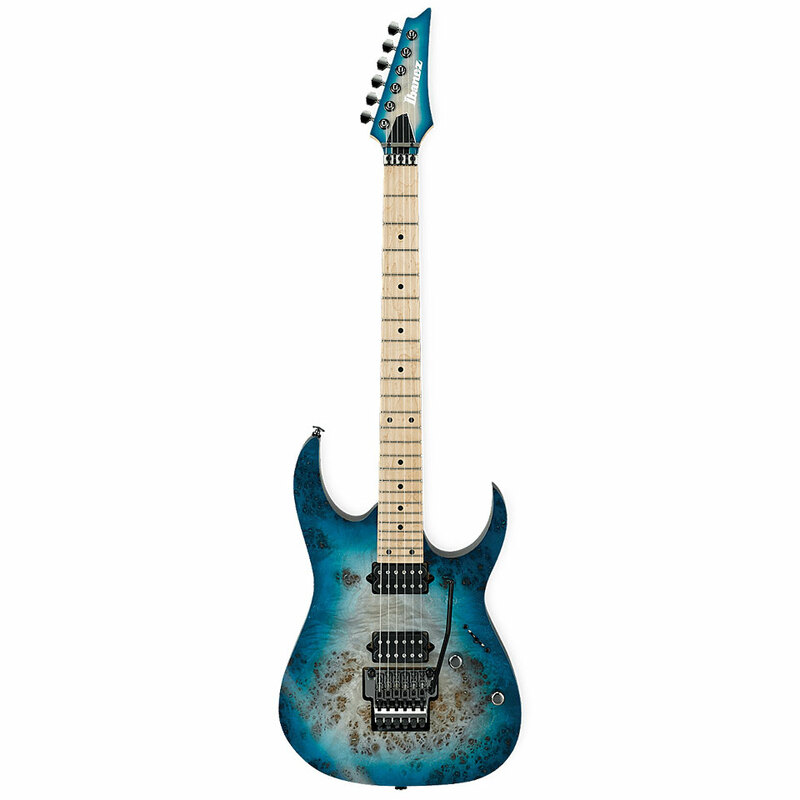 In the Prestige series we find the upper class instruments of the various Ibanez series. Selected materials combined with traditional Far Eastern craftsmanship set new standards in optics, processing and playability.